We are accepting submissions for the 2019 Purple Dragonfly Book Awards. Deadline to enter is Wednesday, May 1, 2019. The Purple Dragonfly Book Awards is an international book competition that was created in 2009 to celebrate the best in children’s books. Not only do we want to recognize and honor accomplished authors in the field of children's literature, but we also want to highlight up-and-coming, newly published authors, and younger published writers. Divided into 55 distinct subject categories ranging from books on the environment and cooking to sports and family issues, and even marketing collateral that complements a book, the Purple Dragonfly Book Awards are geared toward stories that appeal to children of all ages. We are looking for books that are original, innovative and creative in both content and design. 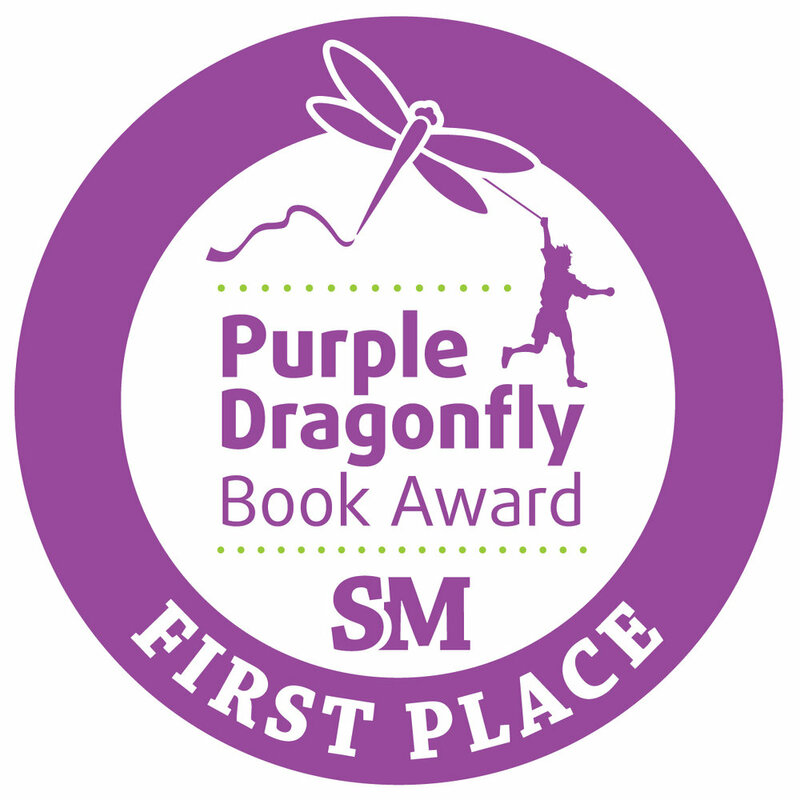 A Purple Dragonfly Book Awards seal on your book's cover, marketing materials, or website tells parents, grandparents, educators, and caregivers that they are giving children the very best in reading excellence. Our judges are industry experts with specific knowledge about the categories over which they preside. Being honored with a Purple Dragonfly Book Award confers credibility upon the winner and gives published authors the recognition they deserve and provide a helping hand to further their careers. One book contest winner will be chosen from all entries to receive the grand prize. The grand prize winning book must be outstanding in content, readability, entertainment value, and overall production. The grand prize winner will receive a $500 cash prize, a certificate commemorating their accomplishment, 100 Grand Prize seals (order more for an additional charge), a one-hour marketing consulting session with Linda F. Radke, a news release announcing the winners sent to a comprehensive list of media outlets, a listing on the website and in Story Monsters Ink magazine, and a feature on the Dragonfly Book Awards homepage. All first place book contest winners of all categories will be put into a drawing for a $100 prize. In addition, each first place winner in each category receives a certificate commemorating their accomplishment, 25 award seals (order more for an additional charge), a news release announcing the winners sent to a comprehensive list of media outlets, and a listing on the website and in Story Monsters Ink magazine. Second place winners receive a certificate commemorating their accomplishment, five award seals (order more for an additional charge), and a listing on the website and in Story Monsters Ink magazine. Honorable Mention winners receive a certificate commemorating their accomplishment, three award seals (order more for an additional charge), and a listing on the website and in Story Monsters Ink magazine. even if it is the sole entry in a category. The Purple Dragonfly Book Award Contest is open to children's books, eBooks, and marketing collateral. We accept traditionally published, partnership published and self-published books provided that they are available for purchase and are printed in English. It does not matter what year or in which country a book is published to be eligible. After March 1, 2019: $65 per category. We accept payment by credit card and Paypal. Deadline to enter is Wednesday, May 1, 2019 and must be postmarked no later than May 3, 2019. Participants must complete a separate entry form for each book entered. At checkout, change the quantity to indicate the number of categories entering for one book and fill out the form on the next screen. If submitting more than one book, after item is added to the cart, begin the process again by changing the quantity and clicking on "Add to Cart." Books will not be returned and will be donated once the contest is completed and winners are announced. Email one (1) electronic copy of the book and a copy of the email confirmation to cristy@storymonsters.com with “PURPLE DRAGONFLY BOOK AWARDS” as the subject. EARLY BIRD PRICING: $60 per category for submissions completed on or before March 1, 2019, after which the fee is $65 per category. THE FINAL DEADLINE FOR SUBMISSIONS TO THE PURPLE DRAGONFLY BOOK AWARD CONTEST IS MAY 1, 2019. To be eligible, submissions must be postmarked on or before May 1, 2019 and must be postmarked no later than May 3, 2019. Any submission postmarked after that date will not be considered for an award and books will not be returned. However, we will refund the entry fee. For the 2019 Purple Dragonfly Book Award contest, top award winners will be notified by email the week of June 15, 2019. You may enter as many books as you like in each of the following categories. You may also enter a single title in multiple categories. The categories are the same for both printed books and eBooks. Spiritual/Religious (Books that address religion and/or spiritual matters, including books on death and grieving. STEM (science, technology, engineering, math) — NEW! Marketing pieces are an integral component to a successful book campaign. Do you have marketing or promotion materials to complement your book that sizzle? We have categories just for that! Enter your marketing pieces now and let others know how it's done! Judging will be based on content, originality and overall readability, with emphasis on innovation and creativity. Our judging panel includes industry experts in specific fields as well as experts in editing, book selling, and publishing. Every entry will be read by the judges, whose decisions are final. For the 2019 Purple Dragonfly Book Award contest, top award winners will be notified by email the week of June 15, 2019. Prizes and awards certificates for the Purple Dragonfly Book Awards will be mailed following notification. The contest coordinators reserve the right to switch the category for an entry, to cancel a category if the number of entries is insufficient, or to decide not to have a winner if the level of the best entries is not up to publishing industry standards. Any entry not conforming to the guidelines will be disqualified without author notification. There will be no refund for disqualified entries. A minimum score of 55 out of 80 must be earned, even if it is the sole entry in a category, to be eligible to win an award in the contest. Click on the Link below to enter. A separate form must be completed for each book that you enter. Change the quantity to indicate the number of categories entering for one book. If submitting more than one book, after item is added to the cart, begin the process again by changing the quantity and clicking on "Add to Cart." You will receive a confirmation email once you've completed your order. Please print out a copy of this email and include with your mailed submissions.